Almost daily we learn of the impact of happiness studies and positive psychology, two fields that have fueled a cultural movement that has influenced the lives of millions of people around the world. Happier? provides the first history of the origins, development, and impact of this effort to shift the focus in the considerations of the human condition from mental illness to subjective well-being. The book explores the contribution of factors as diverse as Eastern spiritual traditions, behavioral economics, neuroscience, evolutionary biology, and cognitive psychology on public discussions. It highlights the transfer of specialized knowledge into popular arenas. Along the way it shows how marketing triumphed, transforming academic disciplines and spirituality into saleable products. Starting in 1945 and continuing through the middle of the second decade of the twenty-first century, Happier? relies on a series of studies, both popular and scholarly, that offer windows into how ideas have developed. This book links the development of happiness studies and positive psychology with a broad series of social changes, including the emergence of new media and technologies, TED talks, blogs, web sites, and neuroscience. Happier? examines the role of evangelical ministers, Oprah’s enterprises, and funding from government agencies and private foundations, especially the transformative contributions of the John Templeton Foundation. It explores the contribution of academic entrepreneurs in creating and sustaining what is among the most influential of academic fields of the late twentieth and early twenty-first centuries. It connects shifts in positive psychology to moments and movements, including the Holocaust, the rise of the counterculture, the crises of the 1970s, the presidency of Ronald Reagan, the prime ministerships of Margaret Thatcher and David Cameron, and the presidency of Donald Trump. It looks at the politics of positive psychology, including the impact of neoliberalism and the commitments among leading scholars to cultural conservatism. 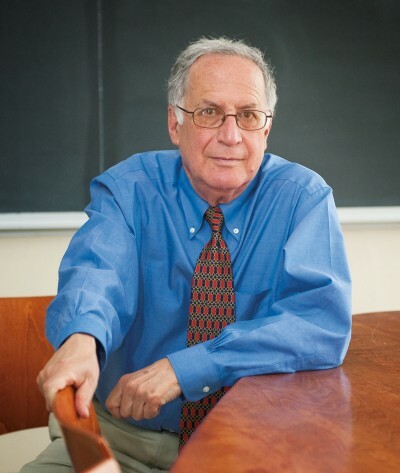 Daniel Horowitz, Mary Huggins Gamble Foundation Chair and Professor of American Studies Emeritus, Smith College, is a historian whose work focused on the history of consumer culture and social criticism in the U.S. during the 20th century. 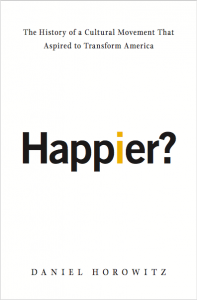 Daniel Horowitz's latest book, Happier? The History of a Cultural Movement That Aspired to Transform America, was published in December 2017 by Oxford University Press.